As it's Saturday night I thought I'd blog about something that every girl needs on a Saturday night out and that's the perfect red lipstick...well good news girls because I think I've found it in the form of No7's stay perfect lipstick in 'cherry'! I'm not normally a fan of No7 as I think it's rather overpriced and aimed at an older generation, but the £5 off vouchers you get given in Boots make it much more appealing and I figured a lipstick worth a tenner had to be good, so when I needed a new red lippy I went for this one. After purchasing a few more of their lipsticks I discovered that a ten pound price tag doesn't always mean a great product, but luckily with the stay perfect 'cherry' it totally does! 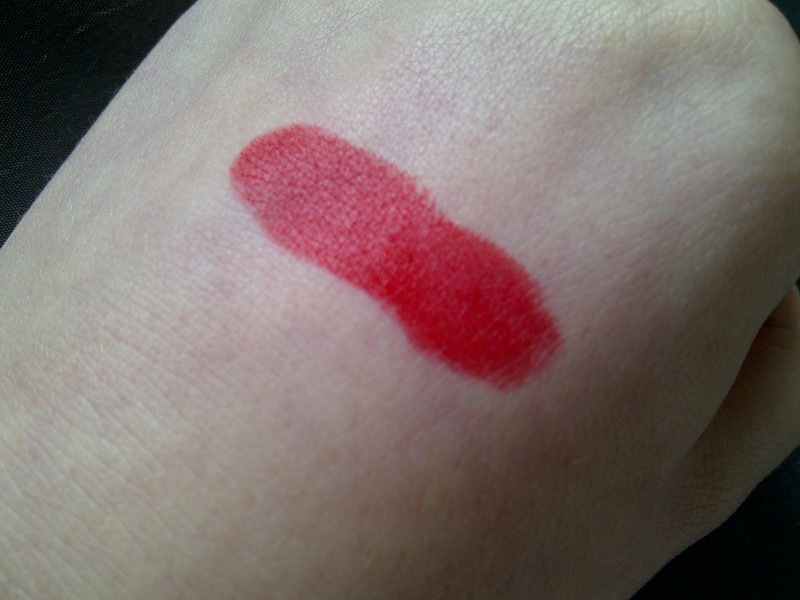 The packaging is simple, sleek and classy and easy to get into even when you've had one too many and need to re apply hahaa...You can also see from the swatch below how pigmented this lipstick is and that it's a really nice classy red shade which is slightly deeper than a proper pucker red and I really like that about it. Also, considering how matte the finish of this product is the consistency is very moisturising, glides onto the lips easily and doesn't feel too heavy or cling to dry patches. The very main reason I can't get enough of this lipstick though is because it actually lives up to the claim that it will 'stay perfect', for example I've left the house at 9pm wearing it and got back in at 3am with my lips still perfectly in tact, with perhaps one touch up at most, which is so great for when you just want to wear a lipstick out that you don't need to worry about reapplying every time you have a drink or go to have a photo taken. 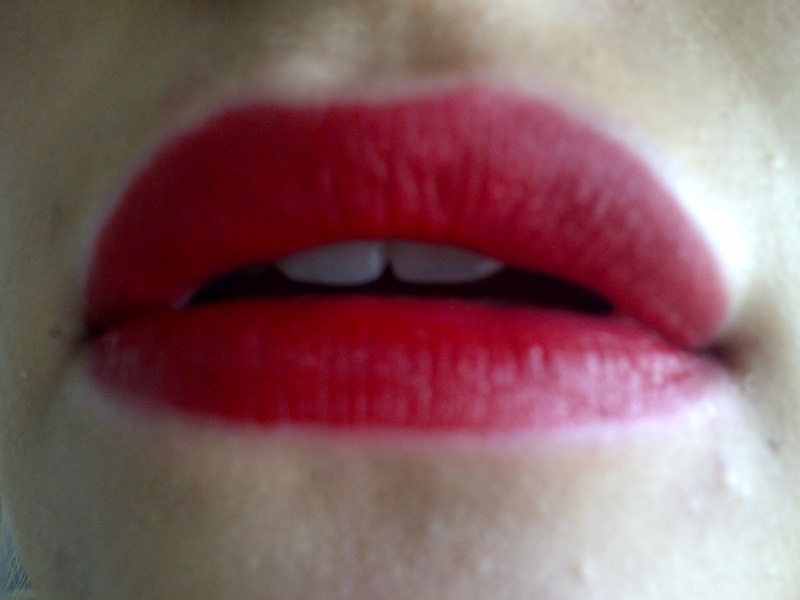 For me it beats the colour, finish and long lasting wear of the MAC 'russian red' I tried! The only downside to this product is that I find it quite tricky to apply, as I think the colour is so pigmented and the consistency so matte that you need to apply it incredibly precisely or with a lipstick brush to get the perfect shape. So it's certainly not a slap on and go lipstick, but seeing as it's not exactly a day time lippy I don't think it matters that you need to spend a bit of extra time applying it initially. 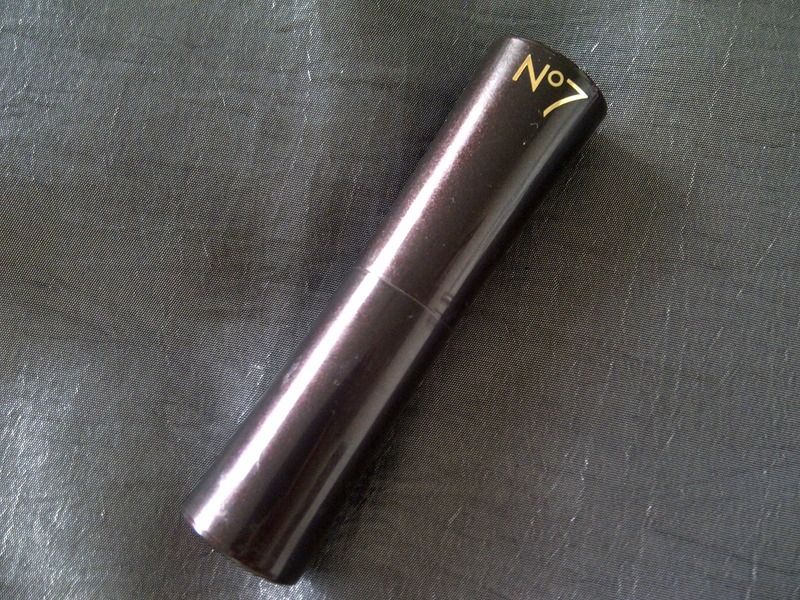 Have any of you tried this lippy? 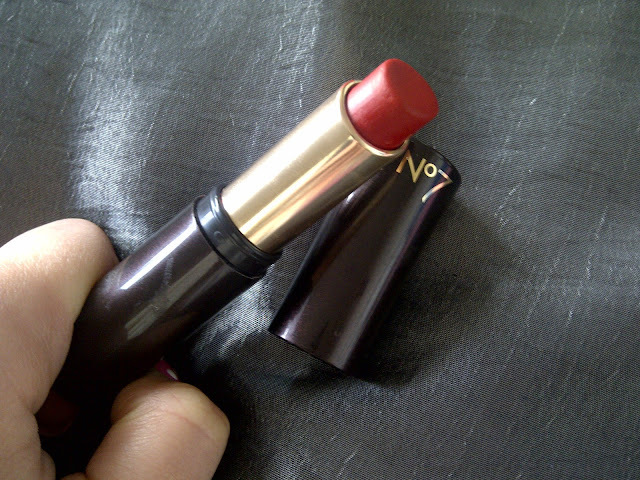 Or have you found your own perfect red lipstick? A combination of working 9-5 today and having no money means I won't be wearing this out tonight, just in front of The Voice and BGT instead, oh what an exciting life I lead haha! Have a fab night ladies! It looks really lovely, I must give this a go! The lipstick is great and suits you.